It might not be the all-singing, all-dancing device we've been expecting from the Chinese tech giant, but Xiaomi's adult smartwatch debut still has a few things to boast about - even if you probably won't be able to buy one. We say adult as you might recall Xiaomi launched a kids smartwatch, the Xiaomi Bunny, earlier in the year. 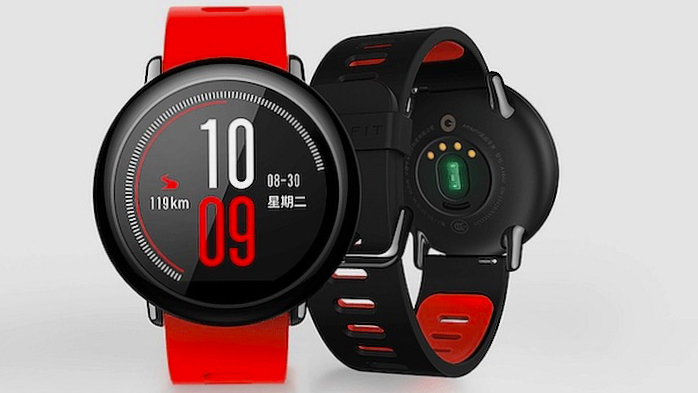 The new device, dubbed the Amazfit Watch, was launched by Xiaomi's sub-brand Huami and claims to be the world's first smartwatch to pack in a 28nm GPS sensor. You probably don't care too much about sensor sizes, but the main takeaway is that GPS is built in. What you will also care more about it the size: the 300 x 300 resolution display comes in at 1.34 inches, while a heart rate sensor on the back will track your beats continuously. The Android-compatible watch comes with IP67 certification meaning it should be able to take on water, dust and sweat with ease, while the ceramic bezel will keep it safe against those unwanted scuffs and scratches round the edges. Open it up and you'll find a 1.2GHz processor along with 512MB of RAM and 4GB of internal storage. All of which will run for five days of battery, says Xiaomi, which isn't bad at all. However, note that will drop down to a mere 35 hours when GPS is switched on. On the other hand (or foot, in this case), using the watch as just a step tracker will give you just over 11 days of use. As for those smart features, the watch offers notification support and mobile payments via AliPay. The Amazfit Watch doesn't run Android Wear, opting for its own custom OS, but works with Android devices running the Mii Fit app. Still, at 799 Yuan - so around $120 - you've got a cheaply-priced, fitness-focused smartwatch. A shame, then, with the watch only arriving in China this week we're not holding out hope for a UK or US launch any time soon. Fingers crossed that Xiaomi still has something bigger up its sleeve.